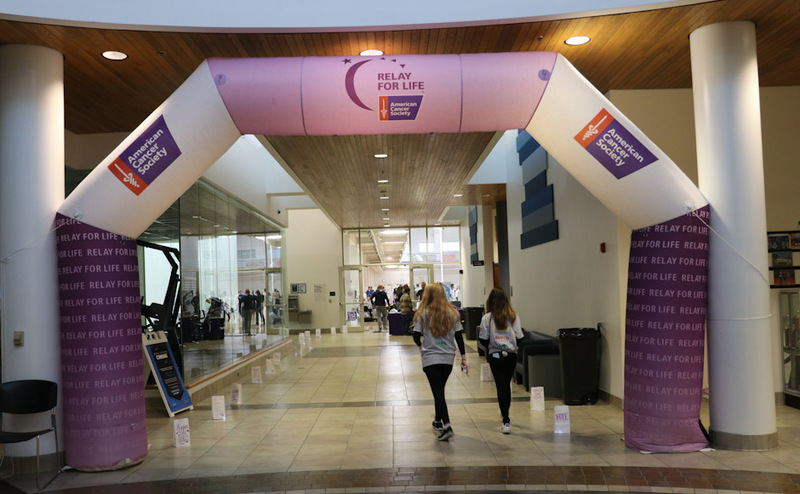 The sixth annual MTSU Relay for Life event commenced on Friday at the MTSU Campus Recreation Center. Relay for Life is a cancer walk used to show support and raise money for those who have been affected by cancer. All of the funds raised by the event are donated to the American Cancer Society. This year’s event was hosted by MTSU with a “Luau” theme and raised more than $7,300. 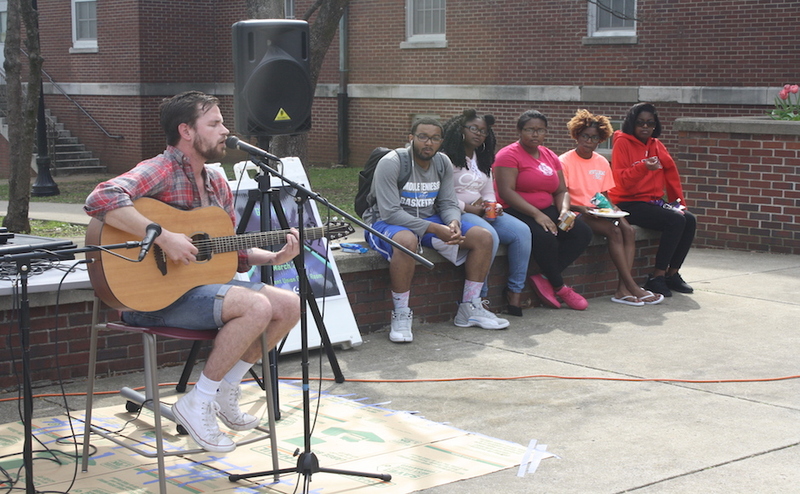 Twenty-one MTSU organizations participated in and donated to the event. They also set up tables that people could buy food or souvenirs from. The event started with the opening ceremonies. During this time, cancer survivors were recognized and began the first lap. 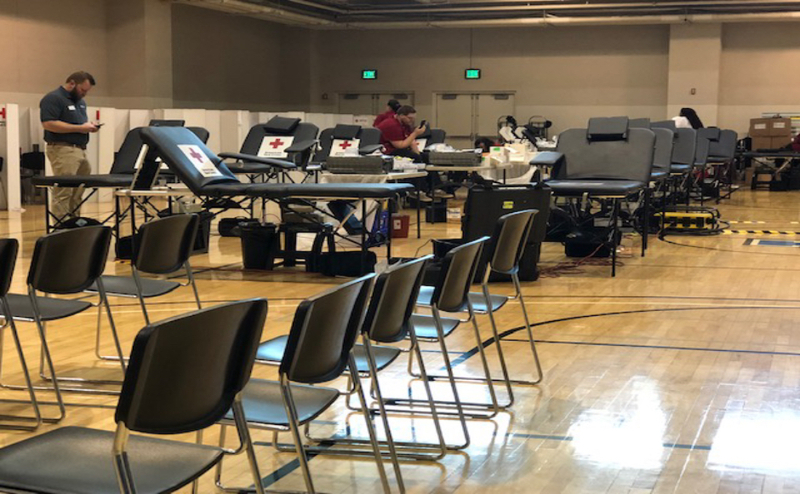 The survivors that were in attendance were Candice Alvarez, Jim Bast, Ed Denton, Tia Green, Merridith Mooth, Lauren Pavelonis and Diana Rust. They were then joined by their caregivers and families to walk along side of them for the second lap. After the survivors walk, everyone else was invited to start their laps. During the walk, participants could learn more information about cancer, and enjoy music by the DJ or by singer and songwriter Carter Voss. After the speeches, people at the event continued walking and participated in kickball, volleyball, minute-to-win-in-it games and tug of war. At 10:30 p.m., the Luminaria Ceremony began. This part of the event is iconic for Relay for Life: It is when the bag lanterns are lit along the walking path, symbolizing the courageous people who have had their lives affected by cancer. At the closing ceremonies, awards were given for the most laps, and final speeches were made to say goodbye. For more information on Reay for Life, visit their website here.